Jigsaw CABAS School also features. CABAS is an acronym for the Comprehensive Application of Behaviour Analysis to Schooling and Jigsaw’s professional standards are monitored and overseen by the CABAS Board (Teachers College, Columbia University, NY). 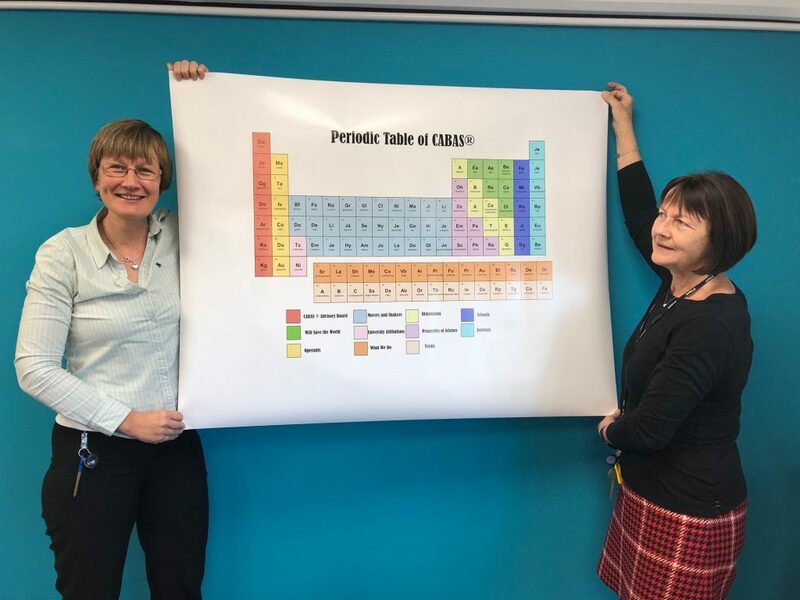 Photo: Emma (L) and Kate (R) with our CABAS Periodic Table artwork – ready to go on the wall!